There are lots of different things that make me feel old these days, but more recently it is the celebration of those films, that were a right of passage for everyone to watch growing up. This year Mean Girls and The Note Book have both turned ten and I read yesterday that Clueless turned 19 this year! 19. There is a child out there somewhere, that is older than Cher was when she appeared on our screens. With nearly 20 years flying passed, I have to admit, I still want her wardrobe. Maybe not all of the things that were in it, but that computerised wardrobe of outfits, which is probably bigger than any flat I could afford to buy in London. 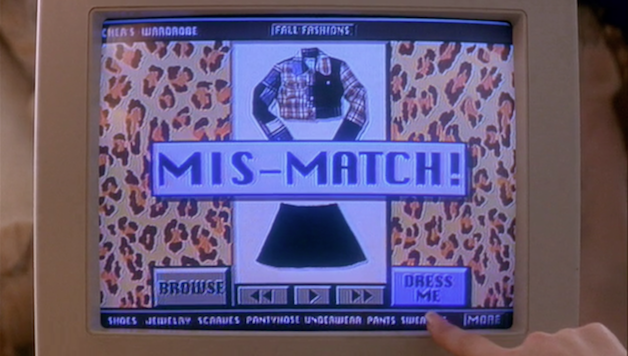 I feel like Clueless is really having a moment right now too. The fashion from the 90's seems to have circumnavigated back around again and even the latest rap videos are referencing the film. So today (the day before pay day) I have had a mini splurge on some of my very own 90's inspired dresses. When all my new dresses arrive, I will post them all on here for you!